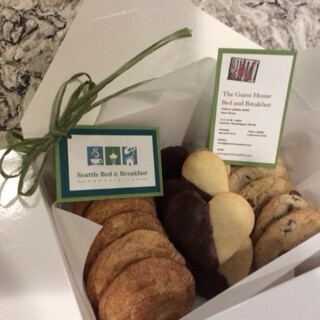 As a member of the Seattle Bed and Breakfast Association, The Guest House Bed & Breakfast recently participated in Project Neighborhood Outreach where we delivered boxes of freshly baked cookies to business in our neighborhood. It was a great opportunity to reach out and network with local business sharing that each of our 16 members are licensed and inspected and are located within several neighborhoods in the Seattle area. 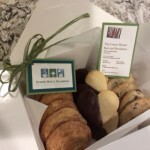 The Guest House Bed & Breakfast teamed up with our neighboring Three Tree Point Bed & Breakfast where we visited 12 business delivering boxes of yummy treats.